CNN hit a ratings milestone this quarter, with the network posting its most-watched second quarter on record in total viewers, and its best second quarter among adults 25-54 in 14 years (since 2Q 2003) in Total Day. In prime time (M-Su and M-F), CNN averaged its highest 2Q delivery since 2003 (in both total viewers and among 25-54). During daytime (9am-4pm), CNN had its highest quarterly 25-54 delivery since 4Q 2008 and second highest total viewers level since 1Q 2003. For the quarter that ended on Sunday (April-June), CNN once again beat MSNBC in Total Day, dayside and weekend prime time. In Total Day, CNN outperformed MSNBC for the 13th straight quarter among adults 25-54 (264k vs. MSNBC’s 208k), the longest quarterly streak since 2Q 2010. In daytime, CNN topped MSNBC for the 19th straight quarter among adults 25-54 (259k vs. MSNBC’s 163k), and for the 18th consecutive quarter in total viewers (883k vs. MSNBC’s 843k). During weekend prime, CNN more than doubled MSNBC in the demo (281k vs. 133k) and ranked #2 in total viewers (808k vs. 499k). Among ALL cable networks, CNN ranked #7 in total day among total viewers this quarter, now ranking in the Top 10 in ALL of cable for four straight quarters, the longest quarterly streak in over 21 years (since 4Q 1995). Early Start with Christine Romans and Dave Briggs (4a-6a) ranked #1 in cable news with 173k, easily topping Fox News (164k) and MSNBC (114k) in the key demo adults 25-54. The program is having its highest quarterly delivery on record. Early Start is up double digits in both the demo (+61%) and in total viewers (+35%) vs. second quarter last year. New Day with Chris Cuomo and Alisyn Camerota (6-9am) had the most growth in cable news, increasing +77% among adults 25-54 vs. second quarter last year. The program was also up +45% in total viewers. New Day posted its highest quarterly delivery on record among both adults 25-54 and total viewers. This is also the network’s best performance during the 6-9am time period since 4Q 2008 among 25-54 and since 2Q 2003 in total viewers. New Day tied with MSNBC’s Morning Joe in the key demo 25-54 (239k vs. 239k). CNN is posting its largest quarterly 25-54 share (25%) of the cable news morning audience since 3Q 2005. CNN dayside programming (9am-4pm) easily beat MSNBC in both the demo 25-54 (259k vs. MSNBC’s 163k) and total viewers (883k vs. MSNBC’s 843k) this quarter. CNN has now topped MSNBC for 19 straight quarters among adults 25-54 and for 18 consecutive quarters in total viewers. All CNN dayside shows ranked #2 in cable news among 25-54. CNN dayside also grew vs. a year ago, increasing +61% in the demo and +37% among total viewers. The Lead with Jake Tapper (4pm) posted its best performance on record in the 25-54 demo and 2nd highest total viewer performance on record this quarter. The Tapper-led program ranked #2 in cable news, easily outperforming MSNBC in both the demo 25-54 (298k vs. 179k) and total viewers (1.069m vs. MSNBC’s 917k). The Lead is up +54% in the demo and +37% in total viewers compared to second quarter last year. The Situation Room with Wolf Blitzer (5-7pm) also had a very strong quarter, easily topping MSNBC in both the demo (345k vs. 215k) and total viewers (1.118m vs. 1.057m). The Blitzer-led program grew compared to last year (+63% demo; +41% total viewers). Specifically, at 5pm, The Sit Room delivered its highest quarter in the 25-54 demo and 2nd highest quarter in total viewers since 4Q 2008. The 5pm hour also increased +57% in the demo and +37% in total viewers. At 6pm the program had its highest delivery in both demos since 4Q 2008 and was up +67% in the demo and +45% in total viewers. Erin Burnett Outfront (7pm) had its highest ratings delivery on record this quarter in both adults 25-54 (391k) and total viewers (1.122m). For the 12th straight quarter, Outfront beat MSNBC’s Hardball in the demo (391k vs. 351k). EBOF also grew double digits from 2Q 2016; up an impressive +65% in the demo and +43% in total viewers. Anderson Cooper 360 (8pm) beat MSNBC’s All in with Chris Hayes in the key demo 25-54 (426k vs. 414k), now topping MSNBC for the 13th straight quarter. AC 360 was the highest rated show on CNN in prime time, averaging 426k among adults 25-54 and 1.245 in total viewers. The program is posting its highest 2Q delivery on record among both adults 25-54 and total viewers. The Cooper-led program grew +52% in the key demo 25-54 and +32% in total viewers compared to 2Q 2016. CNN programming at 9pm (Anderson Cooper) is posting its second highest 25-54 delivery since 4Q 2008 and third highest in total viewers since 3Q 2009. The 9pm hour was also up double digits vs. the second quarter last year, increasing +45% in the demo and +35% in total viewers. CNN Tonight with Don Lemon (10pm) is also posting its highest 2Q performance on record and had significant growth this quarter vs. the second quarter last year, increasing +52% in the key demo 25-54 and +36% in total viewers. New Day Saturday ranked #2 each hour, growing double digits in both the demo and total viewers. MSNBC ranked either 3rd or 4th. Smerconish ranked #2 on Saturday mornings at 9am, increasing +58% in the demo (277k) and +27% in total viewers (865k) compared to last year. Smerconish at 6pm ranked #1 in the demo 25-54 (201k) and was up +28% in the demo and +15% in total viewers. CNN Newsroom with Fredricka Whitfield ranked either #1 or #2 in cable news from 11am-3pm this quarter among adults 25-54, growing double digits each hour compared to a year ago. MSNBC ranked #3. CNN Newsroom with Ana Cabrera (3-6pm) ranked either #1 or #2 in the key demo 25-54 and #2 in total viewers. The program also grew double digits vs. last year. And from 7-9pm, the Cabrera-led show ranked #2, also growing double digits from Q2 last year in both demos. Inside Politics with John King ranked #2 on Sundays at 8am easily topping MSNBC in the demo (255k vs. 102k) and total viewers (834k vs. 413k). The program was also up double digits (+46%/+31%) versus second quarter a year ago. State of the Union with Jake Tapper at 9am ranked #2 on Sundays, more than doubling MSNBC in the demo (301k vs. 130k) and topping MSNBC in total viewers (926k vs. 523k). The program posted double-digit growth in the time period, up +43% in the demo 25-54 and +25% in total viewers. SOTU ranked #1 at noon in the key demo 25-54 this quarter, averaging 284k, up +10%. The Tapper-led program ranked #2 in total viewers (982k) at noon, increasing +6% compared to second quarter last year. Fareed Zakaria GPS (10am) ranked #2 among adults 25-54 (291k, up +39% vs. Q2 last year) and total viewers (1.070m, up +28%). At 1pm, GPS was #1 in the demo, averaging 250k, up +40% from last year. The program was #2 in total viewers (890k), growing +21% from Q2 last year. Reliable Sources with Brian Stelter ranked #2 in cable news this quarter at 11am, increasing +40% in the demo 25-54 (280k) and +28% in total viewers (941k). Newsroom with Ana Cabrera (5-9pm) ranked No. 1 or 2 each hour in the key demo 25-54 and #2 in total viewers this quarter. MSNBC ranked #3 or #4 in both. CNN’s Finding Jesus: Faith, Fact, Forgery Season 2 (3/5-4/9/17): Ranked #1 among 25-54 across cable news in its time period. CNN’s Anthony Bourdain: Parts Unknown Season 9-to-date (4/30-6/25/17): Tracking at its highest season performance ever among both 25-54 and total viewers. Ranks #1 among P25-54 across cable news in its time period, outperforming the combined delivery of Fox News and MSNBC. Every episode this season-to-date has ranked #1 among adults 25-54 across cable news in the hour. CNN’s United Shades of America with W. Kamau Bell Season 2-to-date (4/30-6/25/17): Pacing above its Season 1 average by double-digit percentages among both 25-54 and total viewers. Ranks #1 among 25-54 across cable news in its time period, outperforming the combined delivery of Fox News and MSNBC. Every episode this season-to-date has ranked #1 among 25-54 across cable news in the hour. Beats MSNBC in Total Day for the 36th straight month among adults 25-54 (265k vs. 219k). Tops MSNBC dayside (9am-4pm) for the 40th consecutive month among adults 25-54 (292k vs. 194k) and the 56th consecutive month in total viewers (983k vs. 949k). 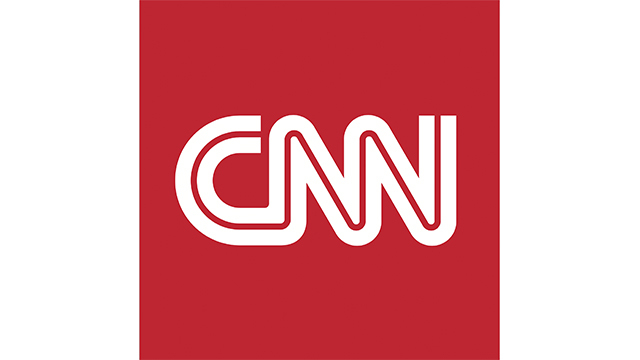 CNN had its second best monthly performance in both the demo 25-54 (292k) and total viewers (983k) since January 2009. Early Start with Christine Romans and Dave Briggs (4-6am) #1 in cable news in the demo (174k); up +45% vs. last year. New Day with Chris Cuomo and Alisyn Camerota (6-9 am) has the most growth in cable news in the morning in the demo, up +64% among adults 25-54, +36% in total viewers. CNN Newsroom with Brooke Baldwin #1 in cable news in adults 25-54 at both 2pm (307k) and 3pm (298k), up +62%/+48% respectively. The Lead with Jake Tapper (4pm) #2 among 25-54 (320k) and total viewers (1.170m), up +49% /33% respectively. This is the program’s second best performance in total viewers (1.170m). The Situation Room with Wolf Blitzer (5-7pm) #2 in demo 25-54 (357k) and total viewers (1.178m), up +64%/+37% vs. a year ago. Erin Burnett Outfront (7pm) ranked #2, beating MSNBC for the 36th straight month in the demo (381k vs. 360k), growing +57% from last year. AC 360 (8pm) grew double digits from last year, increasing +45% in the demo (419k) and +29% among total viewers (1.266) vs. June 2016. CNN Tonight with Don Lemon (10pm) is also up double digits, +34% among 25-54 (391k) and +25% in viewers (1.102m) vs. last June. Smerconish ranked #2 in cable news at 9am and 6p in the demo and total viewers, and had double-digit growth in the 9a hour on Saturdays among both demos. State of the Union with Jake Tapper ranked #2 at 9am (up +22% among 25-54 (290k) and +4% in total viewers (878k) vs. 2Q 2016. At noon, the program was also #2 in both demos. Fareed Zakaria GPS ranked #2 at 10am in the demo (264k) and total viewers (987k) (up +22%/+10%) and #2 at 1p (up +39%/+13%). Reliable Sources with Brian Stelter was #2 in cable news at 11am in both the demo (261k) and total viewers (860k), and grew +32%/+14% respectively. CNN ranks #7 in total day and #9 in M-F prime time among total viewers in ALL of cable (fifth straight month and longest monthly streak since October 1995 as a Top 10 cable net in Total Day among total viewers).